First, you need the appropriate amount of Australia Day Brand Little Aussie Battler Spirit ™. 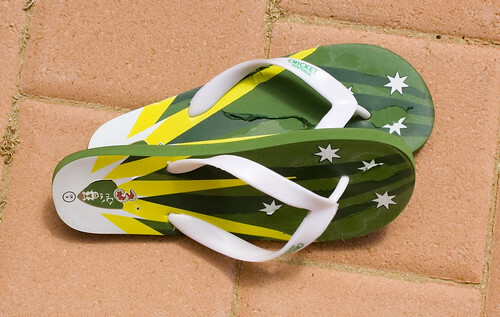 I found I was able to “get into the zone” with these fine $5 Aussie Ashes Tour cricket thongs. Oi Oi Oi! 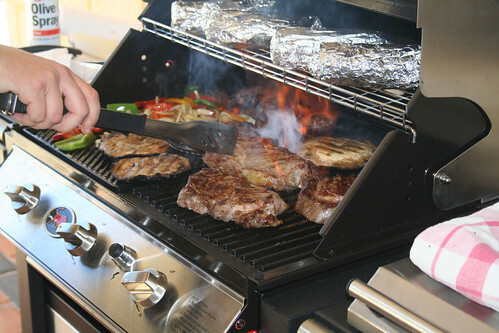 Next, you need BBQ apparatus. 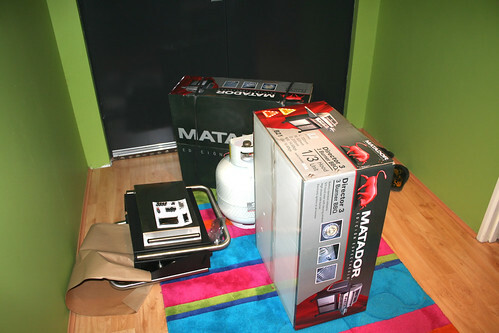 Not being in possession of such equipment, we went to Bunnings on Thursday afternoon and purchased said kit. Item came in three large boxes. We hummed and harred about whether the boxes would fit in the Monaro with an employee of aforementioned hardware warehouse, before deciding to go with the Australia Day Brand Little Aussie Battler Spirit ™ maxim “she’ll be right mate”. The third box had to be unpacked in the carpark and items from it pushed into various nooks and crannies of the car. 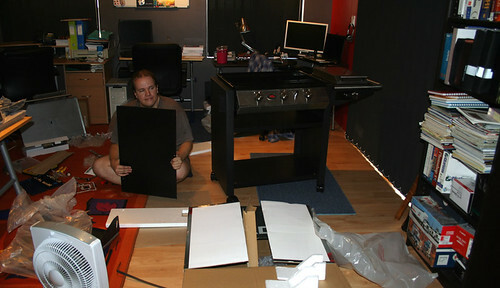 Next, the BBQ will need to be assembled. This is a Man’s Job ™. Dave elected to start this task approximately two (2) hours before scheduled commencement of barbecuing. There was much swearing and sweating: the former because the instructions were badly put together, as were some of the pieces (and Dave is a champion of Ikea furniture construction, Taiwanese computer component assemblage and Lego modelling, so he’s a good judge of instruction booklets), and the latter because it was 39 degrees and we don’t yet have air-conditioning. 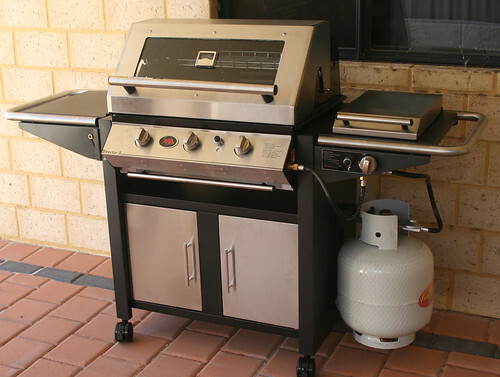 After successful attachment of all pieces, the BBQ needs to be placed in an appropriate position. 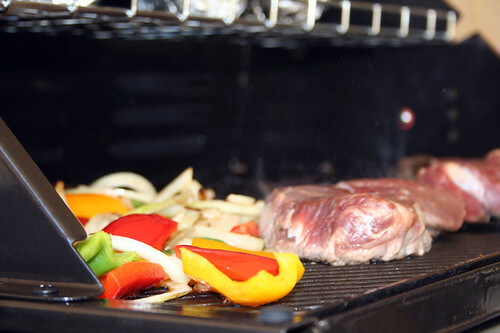 This task can be completed with the assistance of BBQ guests. Thanks Ben and Deb for that. Finally, add food. Sit back with a beer and marvel at the Australian-ness of it all. If it’s 39+ degrees and there are flies buzzing around your head, all the better. Oh, and don’t forget the flames. Always need some flames. ~ by goatlady on January 27, 2007. If you need to find a bbq, check out Meat in a Park. Shows the location of public bbq’s in Australia. Also, you can invite your facebook friends as well!